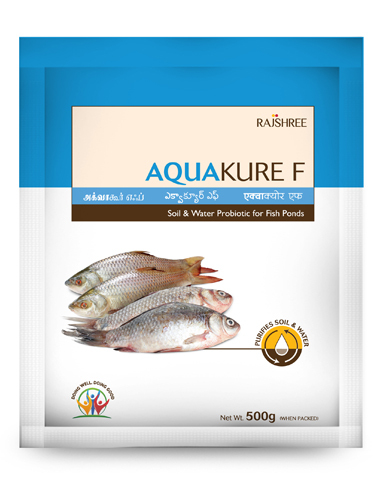 AQUAKURE F is specifically designed for fish aquaculture system that constitutes well-balanced microbial formula to improve culture water and soil quality leading to improved fish health. AQUAKURE F consists of probiotic microorganisms that utilize nitrogenous waste released from the fish and degrade organic compounds accumulated in pond bottom thereby preventing the stress by altered BOD and COD in the pond. Reduces the level of toxic ammonia, nitrite and sulphide and ensures good water quality. Stabilizes dissolved oxygen level in water. Balances and maintains pH and alkalinity. Reduces pathogen load and protects from diseases. Improves plankton growth and fish survival rate. AQUAKURE T possess a mixture of soil and water probiotic microorganisms that helps reduce ammonia and other toxic metabolites (nitrite, sulphide etc) that are discharged into the environment resulting in poor water quality and bottom soil. The preparation constitutes a consortia of microorganisms well adapted to grow in varying environmental conditions and metabolize the nitrogenous and sulphur toxic substances in the aquaculture ponds. 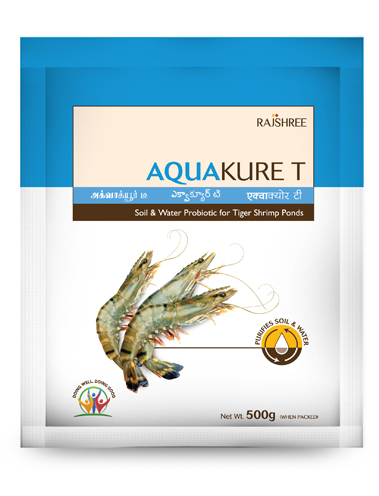 They provide stress free environmental condition for healthy and optimal shrimp growth. Reduces BOD and COD levels and prevents brown blood disease. Stabilizes pond bottom and prevents excess algal blooming. Promotes growth rate and enhances production. Decomposes organic sludge and reduces the need for water exchange. Boosts shrimp immunity, reduces mortality and improves survival. Litopenaeus Vannamei ponds with higher stocking densities lead to release of high metabolic intermediates (ammonia, nitrite, sulphide etc) which build up in water columns and pond bottom. AQUAKURE V possess a combination of soil and water probiotic microorganisms that helps neutralize toxic metabolites in high stocking ponds. These probiotics are well adapted to grow in varying environmental conditions utilizing the toxicants released creating the healthy environmental pond condition. Degrades organic pollutants and ensures good pond bottom and water quality. Controls algal blooming, improves oxygen levels, and reduces pathogens. 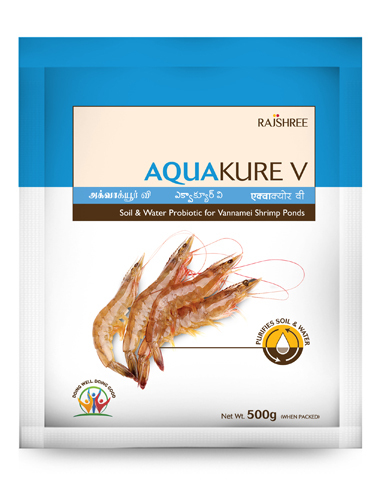 Improves shrimp health and immunity. Ensures fast shrimp growth and higher economic gains. Gut microflora has profound influence on shrimp health through its function in nutrient digestion & absorption, pathogen elimination and provides biological immune barriers. 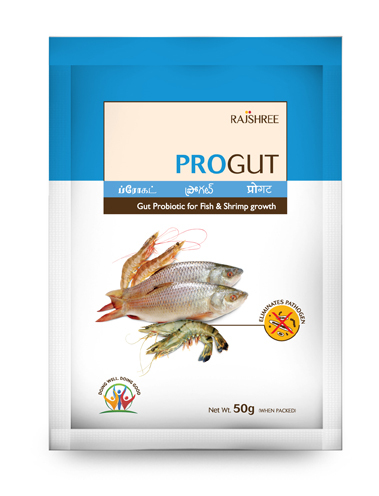 PROGUT contains a unique combination of probiotic bacteria that colonize the gut, protect shrimp/fish from invading pathogens and further ensure complete nutrient absorption. They produce enzymes required for effective digestion of feed and hence improve FCR and balanced grow-moult cycle. Colonizes gut and increases nutrient digestion and absorption. Produces pathogen inhibitory compounds and enhance immunity. Stabilizes FCR, growth, and molting. Produces enzymes to digest feed. Ensures higher growth rate and yield.